FACES: how welcoming is your school? Please enjoy our November ACSSO News. "Fair, Simple and Transparent agreements are the only way forward – nothing hidden, nothing unfair and nothing but the best outcomes for all our children – the various governments of Australia owe our children nothing less. With school days at an end for most of our year 12s, and the escalating pace for the rest as we near the end of term four, it’s often hard to find the time to reflect on the last year before we start the summer holiday season. I’d like to think it’s a chance to celebrate the very best of public education, thinking back to what has gone well and what we can do to build on this success over the coming year. ACSSO too has been involved in a reflective and future focused exercise (more below) as we look to the future in the unique circumstance of a Liberal Minister of Education and Training who is actively working to reform education funding across all sectors – reform that appears to be controversial and challenging to some. The start of this month saw ACSSO’s Members and Directors gathering in Launceston for a round table deliberation to consider the future of education in our proud nation. This is especially important in light of the heightened discussions surrounding the Council of Australian Governments (COAG) Education Council’s negotiations over the post 2018 education funding agreements. The Hon. Simon Birmingham opened the round table with a video message framing the Government’s education policy considerations, challenges and priorities. This was aided by learned input from Tony Zanderigo, Group Manager, Improving Student Outcomes, Department of Education and Training (DoET). Tony expanded on the policy detail and its implications in an open and frank discussion from the Department’s perspective. Following Tony was Pete Goss, School Education Program Director of the Grattan Institute, joining us via video link to introduce a new perspective on potential education reform that may allow ongoing and sustained improvement based on the institute’s research. Enough to say that a number of compelling points were made that fuelled the following strategic discussions. The day concluded with a session with the Hon. Jeremy Rockliff, Tasmanian Deputy Premier and Minister of Education and Training, exploring the work and challenges faced by the COAG Education Council. In summary, it gave everyone present a chance to explore the true nature of fair, simple and transparent needs based funding delivery, the potential of new approaches, and to raise mutual awareness of the challenges and concerns facing each of ACSSO’s members within the context of a national policy agenda. The mood of the forum was consistent in endorsing the vital need to guarantee that every cent of the funding destined to schools makes it through the front gate; funding that should go to where it’s most needed with absolute integrity in the distribution process. The coming national negotiations on education funding must receive support for this from all levels of government. Fair, Simple and Transparent needs based education funding agreements is the catch-call that received unanimous support from all of ACSSO’s members and Board. The weekend also gave us the chance to meet in open session with Stanley Rabinowitz, General Manager, Assessment and Reporting, Australian Curriculum, Assessment and Reporting Authority (ACARA) and learn of the future of curriculum development, and ACARA’s progress in its work to deliver NAPLAN online in a way that is reliable and fair to every student – progress that may yet see some changes that will be dependent on its trial work and consultation with education stakeholders. Alex Shain from Reconciliation Australia was also able to give us a detailed overview of their role in integrating the appreciation and acknowledgement of indigenous culture and history into the daily practice of schools and education facilities across Australia. Its Narragunnawali initiative with a specific focus on early learning and school environments has developed a Reconciliation Action Plan toolkit. It’s an online resource that offers a practical whole school community programme that is simple and straightforward to use. Check it out here. It gives me great pleasure to declare that at the round table dinner Peter Garrigan was formally presented with the rare and richly deserved award of ACSSO Life Membership. Public education owes Peter a huge debt of gratitude for his tenacious and passionate support of the parent voice at all levels of education. In the six-years that Peter was President of ACSSO he led the organisation to become the powerful and trusted advocate that it is today. He was also the inspiration behind the exhaustive restructure process; one that took many years of collaborative consultation that has resulted in ACSSO becoming a company limited by guarantee, with the necessary strong governance protocols that will define our future work. Like all volunteers Peter gave his time freely and without remuneration for the benefit of our children. It is thanks to people like Peter and his passionate advocacy that the voice of parents is heard and appreciated at all levels of government and other stakeholders. Being a national advocacy body often gives ACSSO the chance to partner with a wide variety of initiatives that can bring benefit to our children. One of which we have an ongoing passion for is the Ford Driving Skills for Life programme. Now in its second year, after an initial pilot last year, it offers free practical driving safety skills training for our teenagers – and their parents too. This is a comprehensive and thought provoking masterclass in the how, what and why of operating a car safely in the modern day. It’s not just for teenagers as whilst our youngsters are being immersed in car control by experts in the field parents get to unlearn the bad habits they might be inadvertently passing on, and learn what they should be doing to help our children become safer drivers. Launched in Melbourne last weekend, it moves to Geelong, Canberra and Sydney over the next few weeks. It’s free and places are on a ‘first in best dressed basis’. As a father of two children on L’s I can’t wait for it to come to my home state. More information and an online registration is available here. In conclusion, we are in the unique situation where the future funding agreements across all sectors are up for review and renegotiation. It’s looking likely that this will have to have the bones of agreement in place by early next year – something that may seem impossible when we consider that vested interests are at play in this space. ACSSO’s view is that the integrity of education funding has been debased by the myriad of special deals and other models within the 27 funding agreements, and must be restored. Fair, Simple and Transparent agreements are the only way forward – nothing hidden, nothing unfair and nothing but the best outcomes for all our children – the various governments of Australia owe our children nothing less. Australian drivers aged 17-25 represent 20% of all crash fatalities on Australian roads even though they only represent 13.5% of the driving population. ACSSO supports the Ford FREE Driving Skills for Life courses to Learner and Provisional Drivers. The links below provide additional information on the program. Ford would also like to speak to a parent in each State or Territory who has been personally affected by a road traffic accident and is now an advocate for safer teen driving. Please email us for further information. "The integrity of education funding has been debased by the myriad of special deals and other models within the 27 funding agreements, and must be restored. Fair, Simple and Transparent agreements are the only way forward – nothing hidden, nothing unfair and nothing but the best outcomes for all our children – the various governments of Australia owe our children nothing less." ACSSO would like to hear the views of our nation and particularly those in our schools, our Principals, teachers, families and students and school admin and support, so that we can take your thoughts directly to the Department. Are you looking for a tool to assist your school team to reflect on your current environment and how welcoming your school is? The FACES Welcome Review is a tool designed by the Australian Council of State School Organisations to do just that and also provides templates for developing strategies to improve. Great teachers can change everything. That’s why Schools Plus and the Commonwealth Bank have partnered to recognise and reward Australia’s most outstanding teachers and principals. 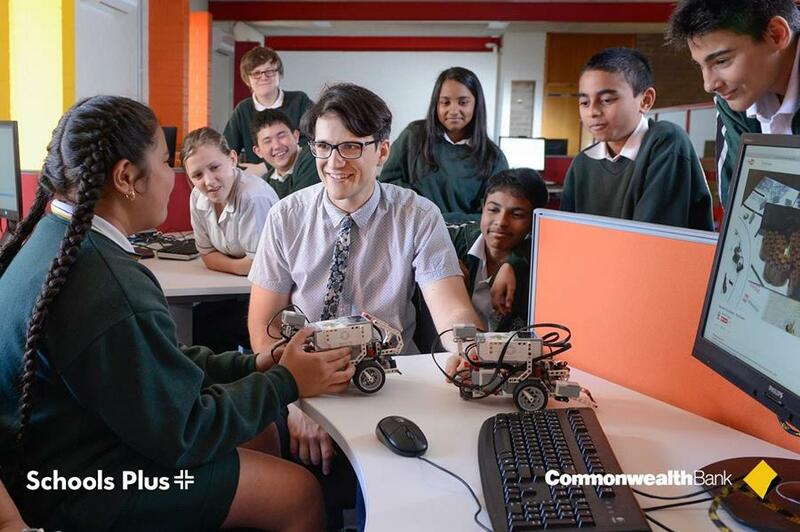 Through the new Commonwealth Bank Teaching Awards, 12 teachers and principals – especially those making a difference in low socio-economic schools – will receive a unique Teaching Fellowship worth $45,000. The Fellowship includes $10,000 for professional development, a visit to Singapore with other leading teachers and principals and $30,000 for a project to benefit your school. Nominations close on November 30. Don't miss out on this opportunity for you, your school and to contribute to the future of education in Australia! ACSSO would like to congratulate all of the Youth Frontier award nominations and finalists. Of particular note we would like to congratulate Jesse from Moruya High School for his work in the area of Centenary of ANZAC. Jesse discovered while researching non-fiction books that there were few non-fiction books describing the reality of war in a sensitive manner in the 8-10 year age group. Jesse authored and designed a book with these factors in mind. Jesse collaborated with a school friend for suitable illustrations, organised the production and sales of the book in libraries and schools to cover production costs. Jesse was mentored by Colin Morrison , a semi-retired management trainer. Youth Frontiers is a NSW Government Initiative that targets students in years 8 and 9 with the capacity to benefit from youth mentoring. Its focus is on leadership and civic management. In 2016 more than 1200 young people had the opportunity to participate.. For more information visit Youth Frontiers. Save Our Schools strives for a high quality public education system which ensures that all children receive the education necessary for a full adult life and to be active citizens, achieves social equity in education outcomes and sustains a democratic and socially tolerant society. The Save Our Schools organisation recently released its paper titled “Private School Funding is Corrupted by Special Deals”, their media release “End the Corruption of Private School Funding” can also be viewed on the website.